Samuel Blanchard was born in Goodworth Clatford, England, he was baptized on August 6, 1629. He was the fifth child of seven, and one of four that lived to adulthood. His mother died in 1636, when he was only seven, and it is very probable that he had seen one or more of his siblings die at a very early age. In other words, he was at a young age, as most people of that time, no stranger to sickness and death. When Samuel was ten years old his father Thomas Blanchard of Goodworth Clatford and his second wife Agnes Bent uprooted the family from their home in England to travel to the Massachusetts Bay Colony. The Blanchard family, as well as the family of Samuel's stepmother, Agnes Bent Barnes Blanchard, made their way from Andover down to London, where they spent about a month preparing for the trip. The crossing of the Atlantic Ocean in a tiny wooden ship must have been a terrifying and miserable experience. Samuel's new step mother died, supposedly only 15 days after setting sail, his half sibling, possibly baby Agnes born in 1638, died and his step grandmother, Agnes Bent, was ill the entire journey. 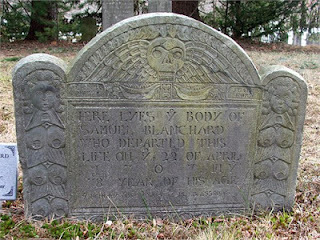 Thomas Blanchard cared for Agnes the entire trip but she died the day they sailed into Boston Harbor. This was not an auspicious beginning to their new life. 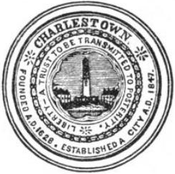 After arriving in the Colony Samuel's father moved several times before eventually settling down in what was then Charlestown but today is part of Malden. The family unit consisted of his father, his fathers third wife and brothers George, Nathaniel, Thomas Jr. and Samuel. Because the colonial government frowned on single men living alone, Samuel more than likely lived in the family home until after his marriage on Jan 3 1655 to Mary Sweetser. Mary was the daughter of Seth and Bethia Cooke Sweetser of Tring, England. She came to Charlestown as a small child as well. Samuel's father, Thomas, died about six months before the marriage of Samuel to Mary Sweetser. In his will his father left Samuel L80 & all previous gifts, L30 to be paid in cattle & L10 in corn & L10 a year in cattle or corn for 4 years. The family farm was divided between his brothers. In 1657 Samuel bought several plots of land and bought about 40 acres of land from his brother Nathaniel. This was Nathaniel's half the land on Wilson's point left to him by their father. Samuel built a house on this land and farmed there for many years. When he finally left Charlestown he retained ownership of his land and his son Joshua remained on the property. 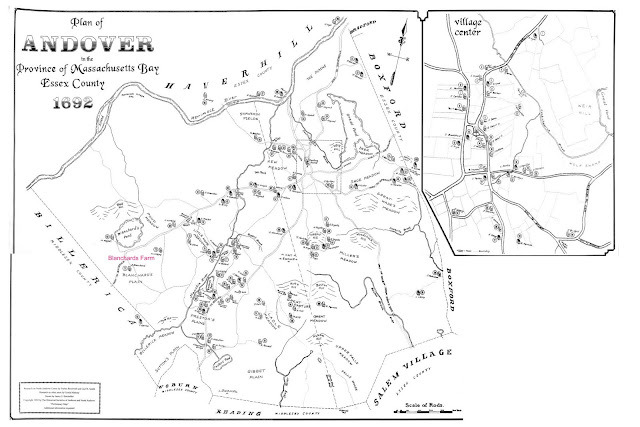 Samuel moved to Andover in 1679 when he bought the original land rights from Henry Jaquith and Mark Graves. Andover is about 20 miles to the northwest of Boston. Samuel's land was next to a pond that was known as Blanchard's pond for a long time, it is now called Haggett's pond. As with most of the early towns, men were originally given a house lot of about 10 or less acres and a planting lot for farming, as well as shares in cow commons and other lands. 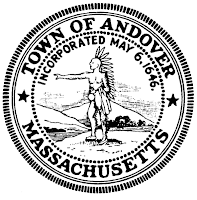 In Andover you had to live on your house lot, it was forbidden to build a house on your planting lot. This was especially important when King Phillip's war started in 1675. Andover suffered it's first attack in 1676 and although only one person was killed and one kidnapped, many animals, horses and cows were killed and buildings burned. In 1677 even more people were killed and for many years thereafter the Indians were a constant threat to the settlers. Having the townspeople live close together ensured safety in numbers and a faster response to any Indian threat. At one point Samuel's house was used as a fortified garrison house where neighbors would shelter at times of unrest or actual attacks. The other benefit to everyone residing in close proximity to each other was to see what they were up to. The Puritans had a strict code of conduct that all were expected to follow. 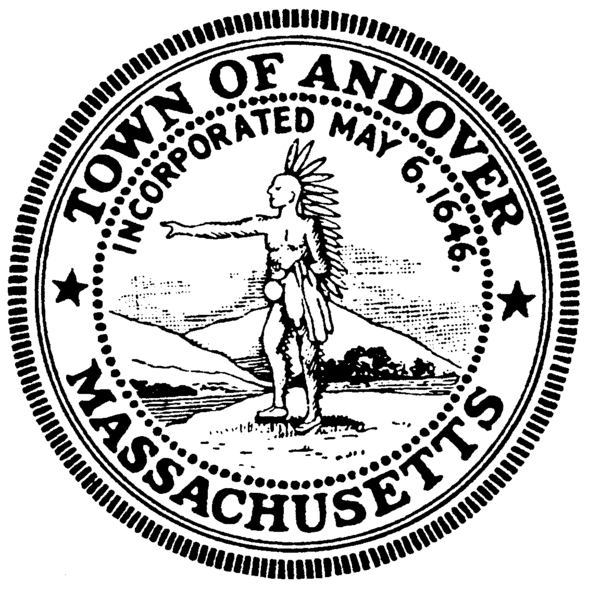 Some of the ordinances passed by the Andover town leaders included the banning of dancing at weddings, and dogs from the meeting house. The also forbade entertaining after 9 pm unless it was for business and young people were not to be about on Saturdays and Sundays. You could be fined if you sat in any seat other than your assigned one at the meetinghouse. Two people were assigned to sit in the gallery of the meetinghouse to keep an eye on the young people and report any disorder to the minister. "that if he be not restrained from the selling of drink our town will be for the greatest part for our young generation will be so corrupted that we can expect little else but a course of drunkenness from them and what comfort will that be to parents to see such a posterity coming on upon the stage after them". Samuel died at the age of 78, in April of 1707. He lived a great deal longer than his father, and outlived several of his own children. Hannah died July 10 1725. I'm also a descendent of Thomas Blanchard and am interested to know more about Thomas and Samuel. My Grandfather has done some work to trace the Blanchard Family. He also tried to trace Thomas back to France and found there may be some information that Thomas was a practicing Huguenot from Lorraine France, then fled to Penton-Hewsey Hampshire England before coming America on the Jonathan.